Contains steviol glycosides, purified extracts of the stevia plant, for pleasant sweetness. Muscle definition around the clock. Muscle definition is a full-time project. It's all about hard training and a disciplined diet. Whey protein provides valuable protein. L-carnitine supports effective energy production during muscle definition. Perfect for body sculpting. The all-time favourite for your muscles. Whey protein provides you with quick source of protein after a workout. The perfect symbiosis of whey concentrate and isolate was developed specifically for demanding athletes and opens up unexpected possibilities for you. With milk from grazing cows. Made in Germany. For muscle definition par excellence. L-carnitine delivers power for exercise and everyday life. This helps your body to concentrate fully on toning. 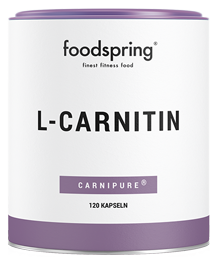 We use the high-quality raw material Carnipure® from Switzerland for our L-carnitine. Packed in high-quality plant-based capsules, our L-carnitine is a real premium product. For more definition. What does protein have to do with muscle definition? Quite a bit. Protein is an essential building block of our body. Muscles are largely made of protein. Protein not only builds muscle, it also helps preserve it. During a calorie deficit in particular, a sufficient supply of protein is essential to prevent the muscles from being broken down. How do the ingredients of the muscle definition pack work together? Whey protein is known for being readily available to the body and for its high essential amino acid content. These advantages make it the ideal protein after the physical strain of strength or endurance training. 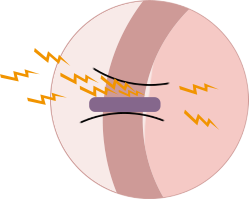 L-carnitine helps the body transport dietary fats to the mitochondria. There, the body converts the fats into usable energy. This combination is perfect for muscle definition. Why muscle definition from foodspring? The Whey protein is tailored to the needs of athletes. 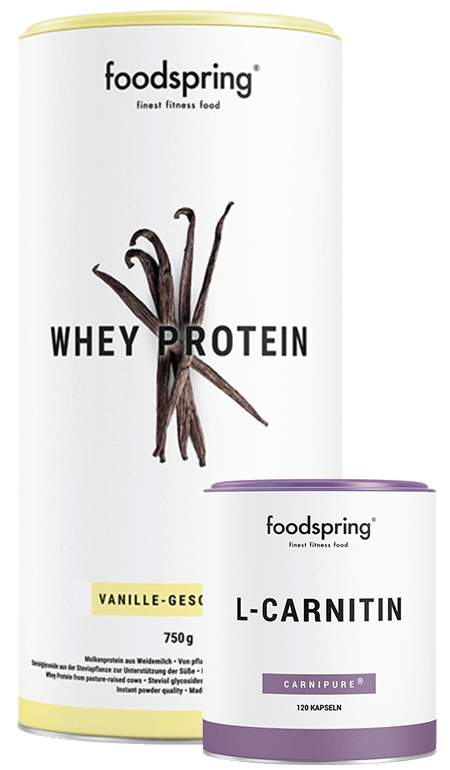 We produce the Whey Protein and L-carnitine in Germany and we guarantee the highest quality standards. Carefully-selected raw materials are a matter of course for us: vegan capsule shells, milk from grazing cows and the quality raw material Carnipure®. To choose foodspring is to opt for the highest quality. That depends on you. Clever and disciplined training are the first step. The second step is an equally clever and disciplined diet. That's where we come in. With high-quality products that bring you towards your goals and help you have fun along the way. If you find that you are not achieving the results you had hoped for, you'll find many useful nutrition and exercise tips in our coach area and you can get personal advice from the food and fitness experts on our customer service team. The recommended daily dose should not be exceeded. Keep out of reach of small children. A varied and balanced diet and a healthy lifestyle are essential. May contain traces of: Crustaceans, milk (incl. lactose), soy, gluten. Mix 30 g (approx. 3 heaped tablespoons) of Whey Protein with 300 ml water or skimmed milk. Fill the shaker with liquid first, then add the Whey Protein powder and shake well for 20-30 seconds. For best results drink 1-2 portions a day right after training or first thing in the morning. Take 3 capsules a day in the morning or before exercise with plenty of liquid. Good support for my workout. 5/5 can´t complain. really nice products. Nice products. Vanilla i like. lovely products. like the pack veryyyy much. all you need for muscle building. All in one. super in combination to a great workout. Nice pack with good products. Muscle definition pack will be back in stock shortly.